The 2016 election cycle is behind us and it was certainly one for the record books. 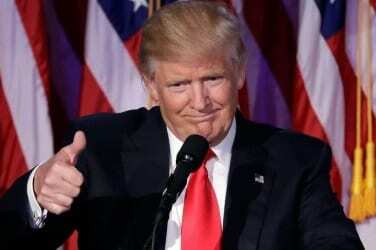 Donald Trump managed to pull off an astounding upset on Tuesday, defeating Hillary Clinton by grabbing key battleground states and even taking traditional Democratic strongholds from the former Secretary of State. What do local politicians think of the 2016 election results? The high voter turnout throughout northeastern Baltimore County reflects the very engaged electorate in our area, and I thank everyone who cast a ballot yesterday. At the same time, I am very concerned about the abnormally long lines at many precincts. The state and county boards of elections should reconsider the threshold at which a precinct acquires a second scanning machine, or they should consider splitting large precincts. I am very pleased with voter approval of Question A, legislation I sponsored to create a charter review process. This is a good government measure and I look forward to the first charter review in 2017. This past year I had the privilege of being a part of a movement that embraced all people across the United States. In the April presidential primary over 50,000 people voted for me to be a Delegate for Hillary, it was one of the proudest moments of my life. I endorsed and supported Chris Van Hollen and am so happy that Baltimore County and the State of Maryland made the choice to have him fill one of the most important seats in the State. I’m thrilled that the people appreciated the work that Dutch Ruppersberger has achieved over the years and the people recognized that work by re-electing him. I’m thrilled to have Question K pass by over 60% of the voters and have this major investment come to the 6th District! 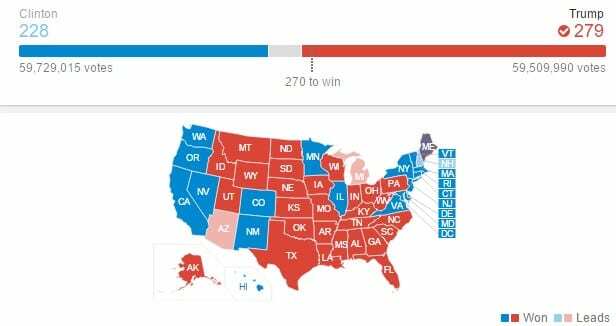 Although, I’m disappointed in the outcome of the Presidential Election, I believe in the process that is in place and accept the results. Let the Country heal and come together and I will continue to work for my constituency and the good of Baltimore County. I offer my congratulations to President-elect Donald Trump and to Vice President-elect Mike Pence, and will work with the new administration on behalf of all Marylanders. Now is the time for all of us to come together to find real solutions to the problems we face as a country. For the past two years, our administration has been committed to working with both Democrats and Republicans to change Maryland for the better and that is exactly what we need to see more of in Washington, D.C.
As we move forward, I encourage both parties to leave behind the divisive politics that have marred this election season and our nation for far too long and focus on doing what is best for America. What do you think of the election results? Let us know in the comments section below.